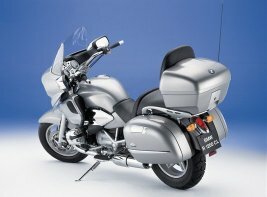 The European press has received information on a new BMW model which will go on sale in Autumn of this year. 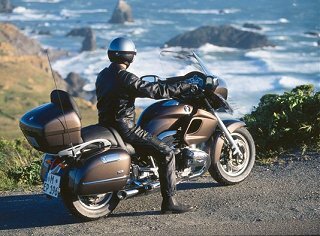 The R1200 CL is a luxury, touring cruiser from BMW. 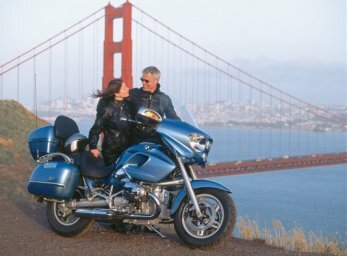 The R1200 CL, according to BMW, is unique in that it makes “owning a cruiser a practical option for the first time”, providing comfort and convenience for both cruising and touring. 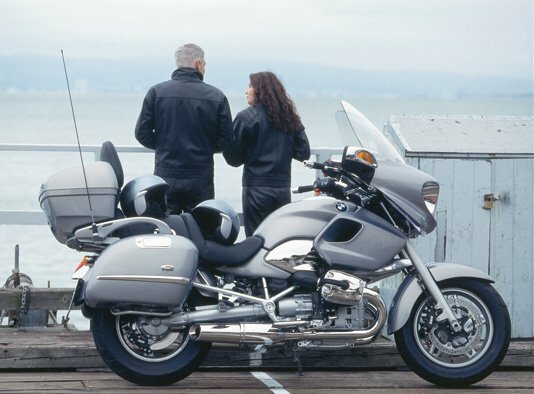 Boasting superb ergonomics for long distance riding, BMW went to great lengths to design the R1200 CL to fit the touring cruiser niche. 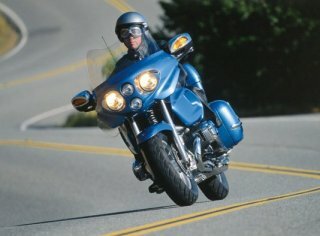 As you can see in the pictures, foot peg position, for instance, is not that of a traditional cruiser, but more of the standard-style position. 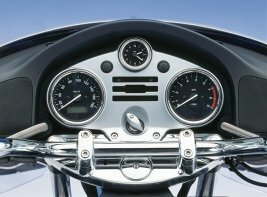 Seat comfort, luggage and instrumentation also reflect BMW’s goal of producing a stylish, but practical mount. With four, distinctive headlights (two low beam and two high beam), the new CL has its own look (something BMW is seemingly never afraid to give its new models). 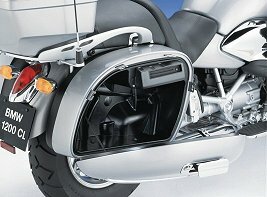 Careful effort went into designing the aerodynamics and rider comfort, providing a scalloped windshield that allows the rider to see over the windshield, rather than through it. The color-matched luggage cases and top case are standard equipment, and water tight. 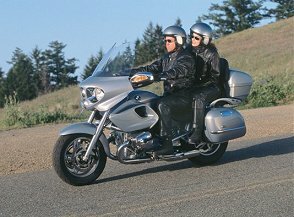 The 1170cc boxer-twin engine produces 61 horsepower at 5,000 rpm and 70 pound feet of torque at 3,000 rpm. 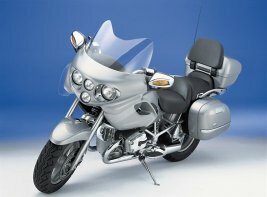 A large fuel tank provides between 150 and 200 miles of touring range.